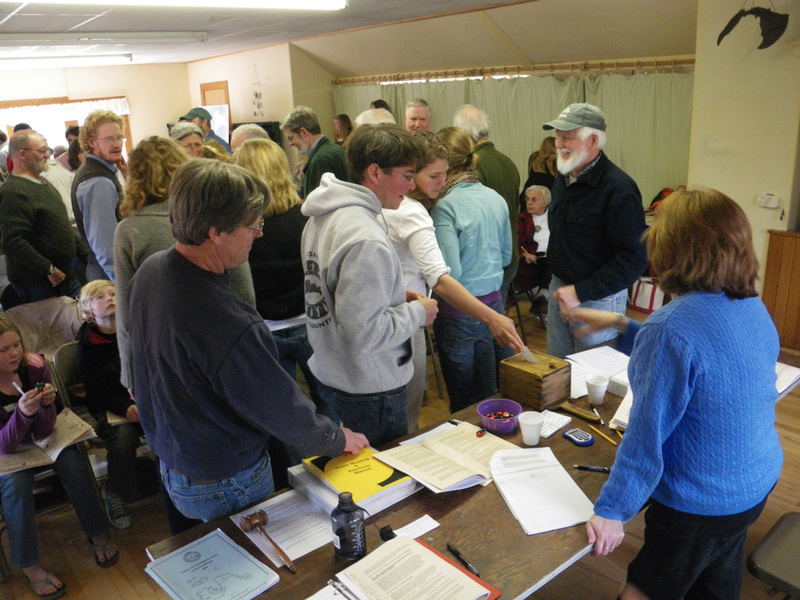 is our Town Meeting day in the Town of Cranberry Isles. We started at 8:30 this morning and finished by 3:30 with a one hour break for lunch. By the end of the day, voters passed a town budget of $1,726,008. Our town is made up of five islands, but only two are inhabited year round: Great Cranberry and Little Cranberry, also known as Islesford. 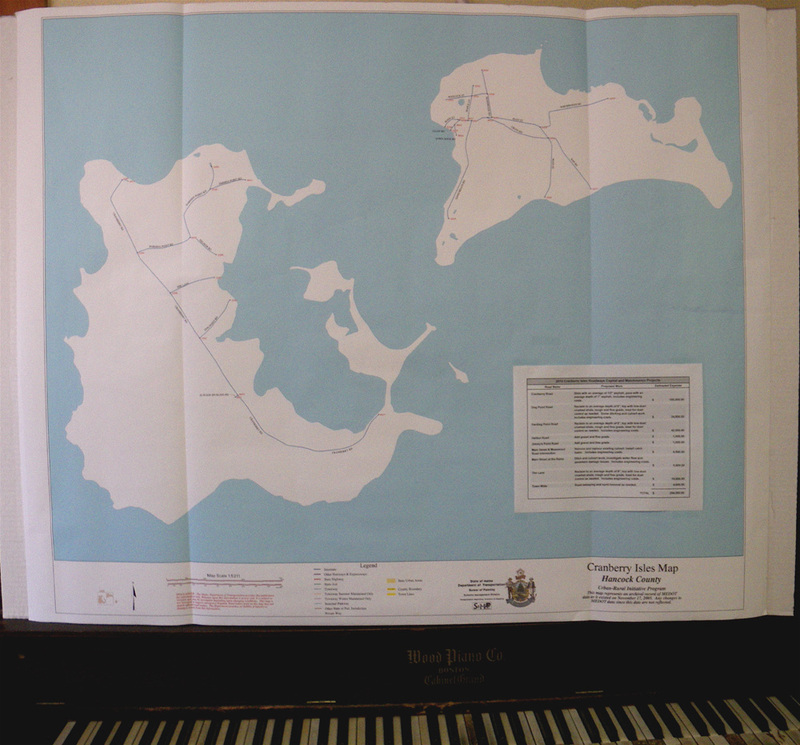 You can see there are not a lot of roads on the islands, but there was a lot of roadwork improvement discussed. I would love to know if this ballot box dates back to the 1800’s when we became a town. 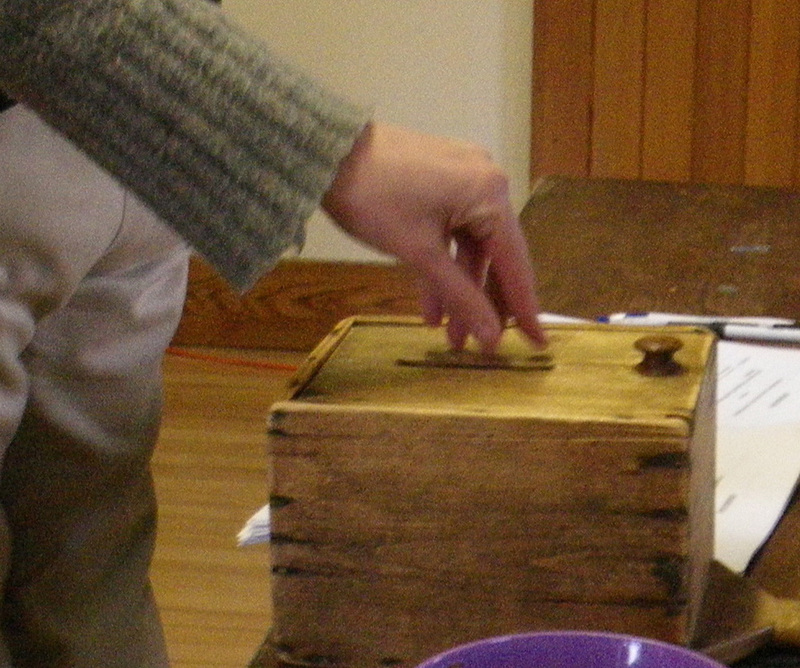 Once votes are cast, inserted through the slot in the top, the top slides off so the box can be turned upside down with the handle and votes counted by the ballot clerks. Official Town meeting dress code for our three selectmen: Khaki pants. 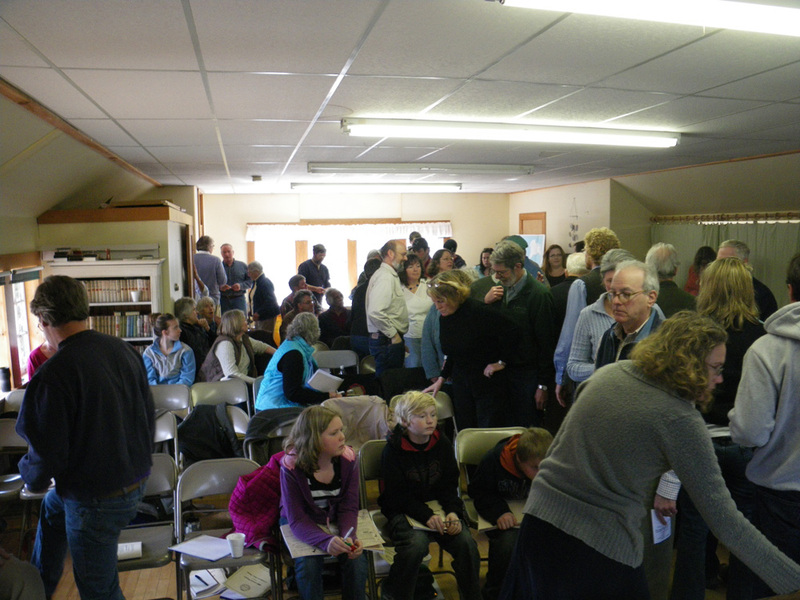 I love our annual Town Meeting. It is such an up close and personal view of a small town at work. Jasmine Samuel made an incredible choice of soups for lunch and volunteers brought salads, breads and desserts. 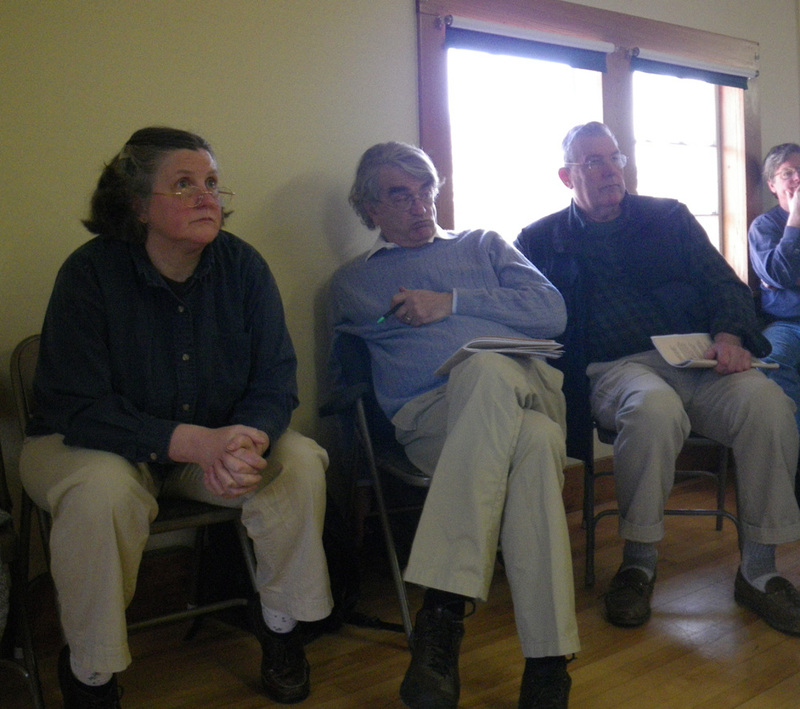 People got along well throughout the meeting, spoke respectfully and discussed topics intelligently. It was a beautiful day outside, and during the recess for lunch, people took walks, ate lunch outside, and went to visit the Islesford School Open House. After the meeting, Stefanie, Cindy, Eliza and I went for our March “Dip of the Month. “The sea water was especially refreshing after spending a sunny day inside. I sure hope this early spring continues.